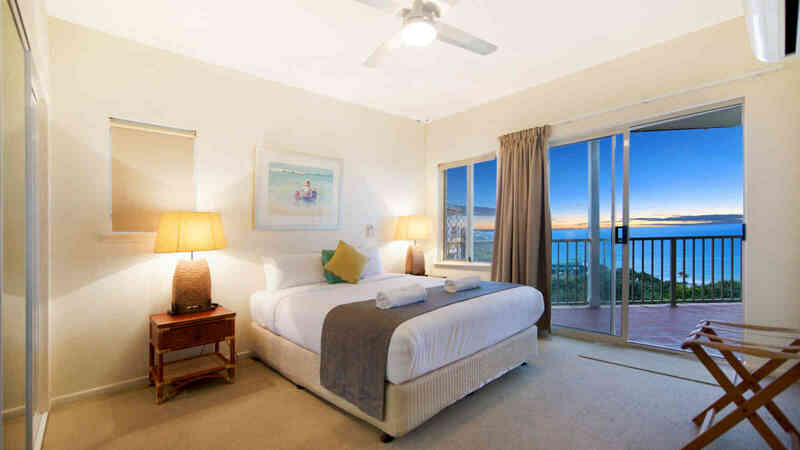 Located on the sand dunes at Point Lookout, Whalewatch Ocean Beach Resort provides endless views along Main Beach, the Pacific Ocean and south to the Gold Coast. The resort features large, 3 bedroom fully self-contained units with 2 bathrooms, modern kitchens and huge indoor and outdoor living areas. Most units are complimented by views, air conditioning and lift access. The resort also features a BBQ area, swimming pool, spa, Foxtel and undercover parking. The resort has direct access to Main Beach (patrolled) and is within walking distance to shops, restaurants and the North Gorge Walk. Garden/National park side apartments – Located throughout the resort complex on different levels. Most units offer views of the gardens and National Park. Some units have ocean glimpses, however views are not guaranteed. Ocean side apartments – The ocean view apartments are located throughout the resort complex on different levels. They have good views out towards Main Beach, along with lift access to some levels. 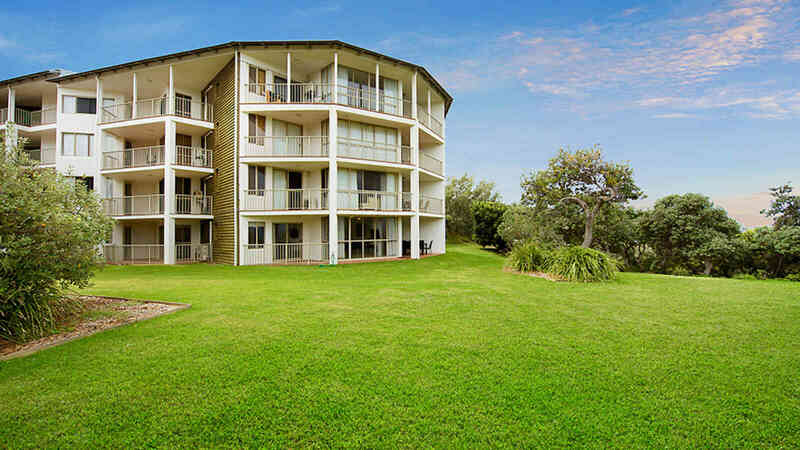 Ocean front ground floor apartments – Located on the ground floor of the resort these units offer slightly obstructed ocean views through the vegetation in front. Perfect for young families as they offer a grassed area at the front of the units. 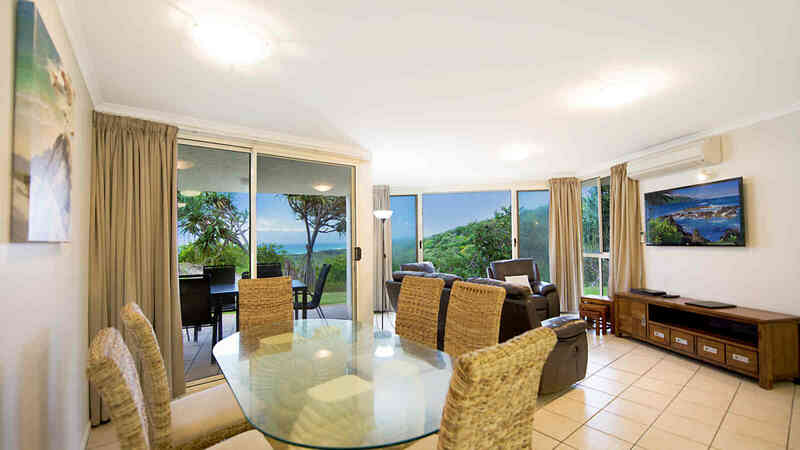 Premium ocean view apartments – Located at the very front of the resort complex, these units have front facing ocean views from both inside and from the balcony area. Lift access available to most units. T&Cs apply. Valid 1/4/18 - 31/3/19, excluding school and public holidays. Subject to availability. Stay an extra night for only $80! Book 2 nights for 4 people, from $756 and get an extra night for $80! from $2,387 for 4 people in a 2 bedroom gardenside apartment. To assist us with your enquiry, please include the dates you would like to travel and the number of adults, children (2 - 14 years) and infants (0 - 2 years).